1. Be 8 years of age or older (Bubblemaker). 2. Be 10 years of age or older (Discover Scuba). Additionally, for a 10 or 11-year-old Discover Scuba participant in confined open water, you must have both a parent (legal guardian) and the child watch the Youth Diving: Responsibility and Risks video or thoroughly review the Youth Diving: Responsibility and Risks flip chart. Both parent and child must read and sign the Youth Diving: Responsibility and Risks Acknowledgment form. This does not apply to swimming pool only experiences. Only Teaching status PADI Instructors and PADI Assistant Instructors qualify to conduct the Discover Scuba or Bubblemaker experience. The instructor must control all activities and be in the water, directly supervising the experience. In a swimming pool only, the maximum ratio for the Discover Scuba experience is eight participants per PADI Instructor or PADI Assistant Instructor (8:1) with one certified assistant required for each additional two participants. In confined water, the maximum ratio for the Discover Scuba experience is four participants per PADI Instructor or Assistant Instructor (4:1). Two additional participants are allowed with the use of a certified assistant. More than one certified assistant may be used, however, the maximum ratio may not exceed six participants to one PADI Instructor or Assistant Instructor (6:1). When taking 10- or 11-year-olds in confined open water, the maximum instructor-to-participant ratio is also four to one (4:1). However, no more than two 10- or 11-year-old children may be included in a group of four participants. In a swimming pool only, the maximum ratio for the Bubblemaker experience is six participants per PADI Instructor (6:1) or four participants per PADI Assistant Instructor (4:1). In confined water, the maximum ratio for the Bubblemaker experience is four participants per PADI Instructor (4:1),with two additional participants allowed with the use of a certified assistant. More than one certified assistant may be used, however, the maximum ratio may not exceed six participants to one PADI Instructor (6:1). The maximum allowable ratio for PADI Assistant Instructors is 4:1. This ratio may not be increased with the use of certified assistants. Conduct Discover Scuba and Bubblemaker experiences in a swimming pool or other confined water environment that offers swimming poollike conditions. Initial phases of training must take place in shallow water where the participant can easily reach the surface. When Discover Scuba participants are comfortable breathing underwater in shallow water, you may take them on a tour in deeper water. The maximum depth for the Discover Scuba experience is 6 metres/ 20 feet. The maximum depth for the Bubblemaker experience is 2 metres/ 6 feet. Each participant must be equipped with: fins, mask, buoyancy control device, scuba cylinder, regulator and submersible pressure gauge. Use appropriate exposure protection and weights as necessary for diver comfort. 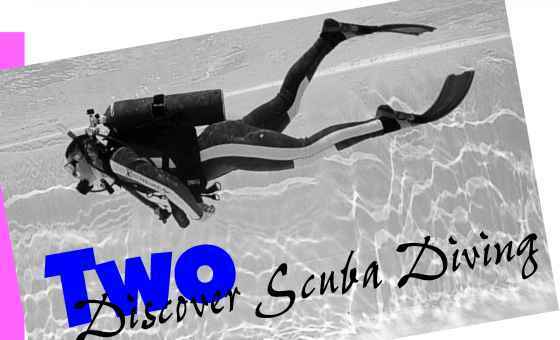 • Have participants of all ages read and sign the Discover Scuba/ Discover Scuba Diving Statement. • When 10 and 11-year-olds participate in Discover Scuba in confined open water, in addition to completing the DS/DSD Statement, the children and their parents must watch the Youth Diving: Responsibility and Risk video (or review the Youth Diving: Responsibility and Risk flip chart) and sign the Youth Diving: Responsibility and Risks Acknowledgment form. 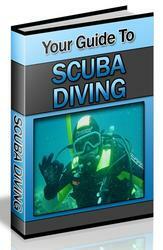 • Help participants put on and adjust their scuba equipment in shallow water. 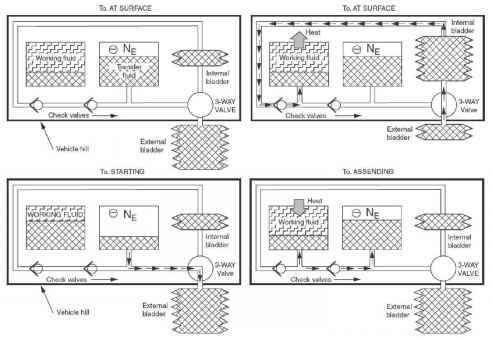 • Briefly review breathing rules and equalization techniques. 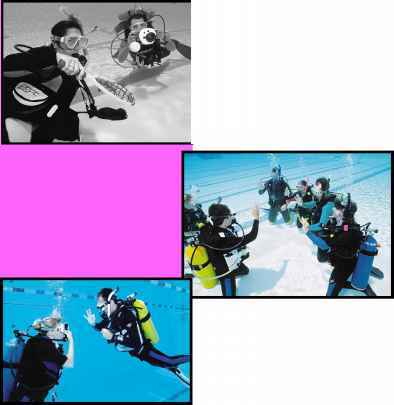 • Orient participants to breathing underwater, cover regulator clearing and allow them to dive in shallow water. When comfortable, you may take Discover Scuba participants on tours in deeper water. • Complete participant Passport to Adventure - PADI Scuba Experience Logs or fill in the appropriate section of their Open Water Diver Course Referral Records. • Remind participants that they need additional training to dive independently. PADI Instructors may, at their discretion, introduce skills from the PADI Scuba Diver/Open Water Diver course Confined Water Dive One. Skills mastered during Discover Scuba may be credited toward PADI Scuba Diver or Open Water Diver course requirements. This link to further training can be an important promotional tool for motivating participants to continue their education. To credit skills, a Teaching status PADI Instructor must teach the skills, evaluate mastery, and document the training. Use of the PADI Scuba Experience Log or Open Water Diver Course Referral Record to document training is recommended. PADI Assistant Instructors are not qualified to independently teach skills, thus Discover Scuba experiences conducted by PADI Assistant Instructors are not eligible for credit. Before introducing skills, evaluate participant comfort levels and interest. Introducing skills too soon may task load participants and make the experience less enjoyable. 2 additional participants allowed with the use of a certified assistant. More than one certified assistant may be used, however, the maximum ration may not exceed 6 participants to 1 PADI Instructor or Assistant Instructor.